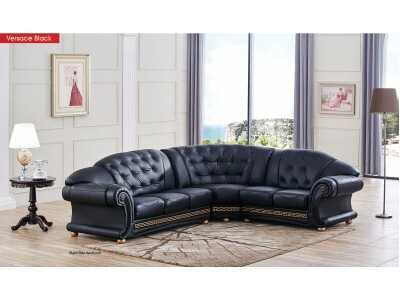 Dimensions: L105/120" x W38" x H38"
Bring superior comfort and luxury into your home with this Versace style sectional sofa. 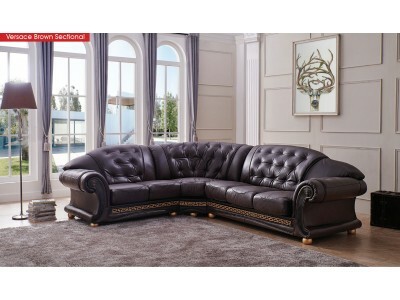 Three piece comfortable sectional sofa comes in Italian leather upholstery. 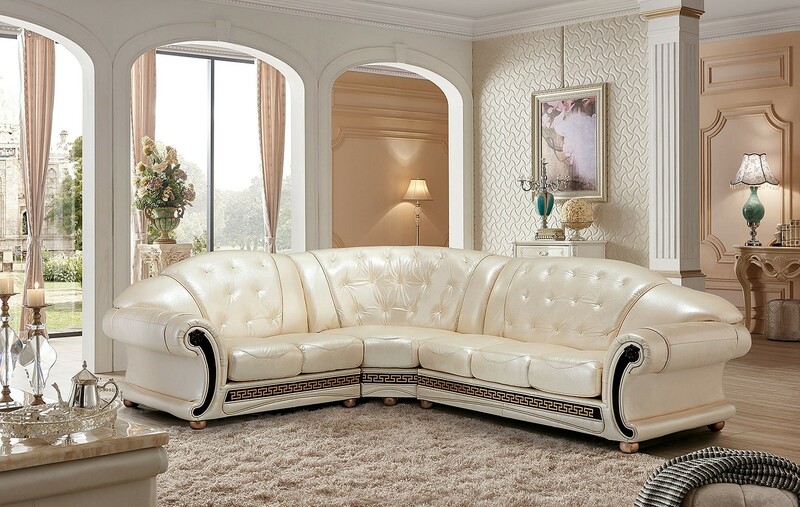 Pearl color crocodile embossed leather completed by button tufted design on the back and rolled arms. Black trim on the arms with Versace style logos and more black and gold at the bottom. 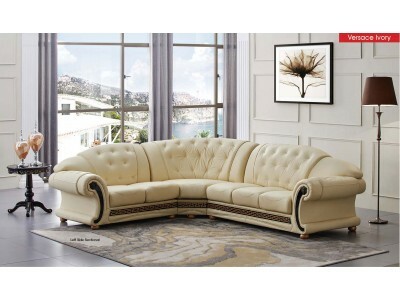 Versace sectional sofa is available in pearl, ivory, brown and black colors.